Description: When geek girl Elle Wittimer sees a cosplay contest sponsored by the producers of Starfield, she has to enter. First prize is an invitation to the ExcelsiCon Cosplay Ball and a meet-and-greet with the actor slated to play Federation Prince Carmindor in the reboot. Elle’s been scraping together tips from her gig at the Magic Pumpkin food truck behind her stepmother’s back, and winning this contest could be her ticket out once and for all—not to mention a fangirl’s dream come true. Teen actor Darien Freeman is less than thrilled about this year’s ExcelsiCon. He used to live for conventions, but now they’re nothing but jaw-aching photo sessions and awkward meet-and-greets. Playing Federation Prince Carmindor is all he’s ever wanted, but the die hard Starfield fandom has already dismissed him as just another heartthrob. As ExcelsiCon draws near, closet nerd Darien feels more and more like a fake—until he meets a girl who shows him otherwise. 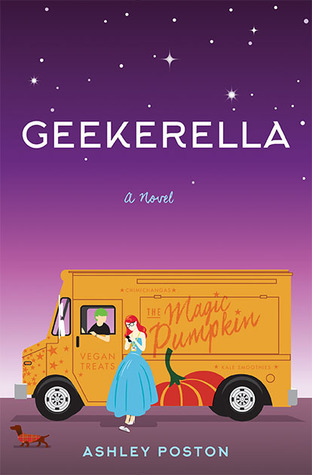 Review: Geekerella is a thoroughly enjoyable Cinderella retelling with a fandom/geek culture twist. Elle Wittimer is unhappy with her social climbing stepmother and her Kardashian-like stepsisters. Elle seeks solace in participating in the cult television show Starfield, which she shared with her deceased father. To Elle Starfield is more than just a show, it is a way of life. 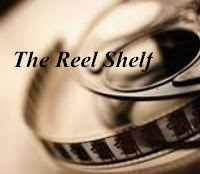 Disappointed that her beloved television show's film reboot will not do its fans justice, Elle anonymously blogs about the show and has expressed her lack of faith in Darien Freeman, the Hollywood heartthrob who's been cast as Prince Carmindor in an upcoming film adaptation. Meanwhile Darien is tired of playing the next Hollywood heart throb where his showing off his chiseled and insured abs get much more attention than his acting skills. Secretly, Darien grew up loving Darien grew up loving SF conventions and Starfield but has avoided them since his uncomfortable ascension to the "it list." When Darien is blindsided in participating in ExcelsiCon, a convention filled with Starfield fans, he tries to back out and begins texting an unknown number linked to the convention founder, which happens to be Elle. I adored both Elle's and Darien's point of views. Each character had their own distinct voices and their points of views allowed the characters to unveil their flaws and weaknesses. Their anonymous text-based romance was super cute and allowed them to be themselves before the big reveal. In addition to the main characters, I also loved Sage, Elle's first real friend/coworker at a vegan food truck who was unabashedly herself. I found Calliope, one of Elle's stepsister intriguing, but wished her character was more fleshed out. I appreciated that Elle's stepfamily is complex. The book hits on all the necessary fairy tale plot points from the pumpkin carriage to the dress and to finding out the real Elle. The author does a fabulous job in explaining the phenomenon of fan culture especially from the perspective of a fan as one trying to find their right niche and where everyone is welcomed. She also takes a critical view of fandom from looking at the actor's perspective and how far fans are willing to go to meet their favorite characters. Overall, Geekerella is the perfect book to kick off your summer. It's hip with today's social media, full of laughs and warmth, but most importantly it will give you feel good vibes when you are finished. Words of Caution: There is some minor language and scenes of underage drinking. Recommended for Grades 8 and up. I really liked this but I didn't love it like I thought I would for some reason and that was a little disappointing but it was a really cute read for sure. Glad you enjoyed it! Totally need good vibes and light and fluffy. I have the audiobook on hold at my library, so I should be reading this soon. Glad you enjoyed it so much!